Gummy Smile: What Is That? If your smile shows up a lot more gum than teeth, then you might have what people call a gummy smile. A gummy smile is just an aesthetic issue for many people, and it does absolutely nothing towards the function and work of the teeth! Even so, for those that want a more toothy smile, Los Algodones dentists fills us up with the knowledge we need. It turns out there are several ways to deal with it, so a gummy smile can always become a thing of the past. What is exactly a gummy smile? As we mentioned before, it just an aesthetic issue where the person displays more gum when smiling than they would like to. We would like to emphasize that it poses no issues as long as you keep your mouth in good shape! Although in some cases, a gummy smile can just be the result of abnormal tooth eruption or even a problem in the development of the patient’s jaw. Causes such as these lead to an improper bite, which is what might be causing that gummy smile. So for anybody that wants to make their smile look less gummy, Los Algodones has many options to address that, which we will get to in a bit. Excessive gingival displays. Too much gum tissue showing! Abnormal eruption of the teeth. This can lead the gums to look more prominent. A high lip line. Also called a short upper lip, where it goes higher than most people’s. Jaw bone growth and development. 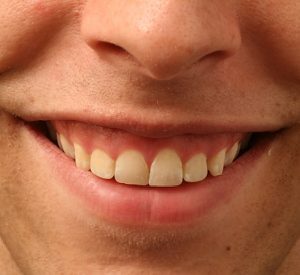 Sometimes a bulging protrusion in the upper jaw can push your gums into showing a bit more than intended. So first of all, the dentist ought to check that the patient indeed has a gummy smile. This is done with some simple tests, as it is just a cosmetic issue, some simple looks and questions are more than enough. After this, the dentist seeks and finds the underlying cause in order to give the best course of action to develop a plan and fix this cosmetic issue. Lip repositioning surgery. This is a little clever surgery where the gum is cut from the inside, then stitched together. This makes the teeth stand out more and the lip to not move way up. Botox. 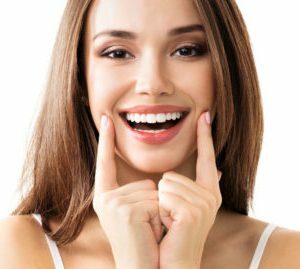 Although just temporary, by having a small botox injection onto your upper lip, it will make it more stiff, and as such not show so much gum tissue when you smile. This typically lasts for a few months. Gum gingivectomy. This can be performed by laser or scalpel. If it is very slight and minor, the laser gingivectomy will be just right. The sessions are relatively short and the results immediate. Crown lengthening. A popular procedure is crown lengthening, where the gums and bone are slightly trimmed to reduce their ratio in regards of the teeth. The final product takes into account just how much teeth and gum should be showing in order to look pleasant! There is also the special case where a vertical maxillary impaction might be necessary. This is to correct the jaw position to be fitted a bit more upwards. Although it yields results, it is way too invasive for such a small problem. No Replies to "Gummy Smile: What Is That?"